John Boyer, tenor, earned his Bachelor in Music Education degree in 1965 from Southern Colorado State College, Pueblo, Colorado, now incorporated into the Colorado State University system. He received his Master of Music degree in vocal performance in 1967 from the University of Colorado, Boulder, Colorado. He was an instructor in voice and directed the touring Wooster Chorus at the College of Wooster, Wooster, Ohio, from 1967 to 1969. For thirty nine years, from the fall of 1969 to the spring of 2008, Mr. Boyer taught studio voice, diction, and related subjects at Del Mar College, Corpus Christi, Texas, which also included twenty five years as director of the Opera Workshop/Singers Theater. 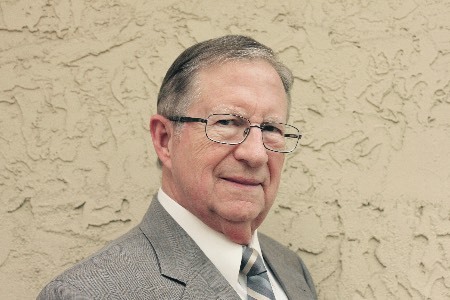 Upon retirement from Del Mar College and moving to San Antonio, Mr. Boyer has served as an adjunct in voice at the University of the Incarnate Word since the fall of 2008 to the present.